Brandt Snedeker joined the 59 club as he earned a commanding four-stroke lead following the opening round of the Wyndham Championship. 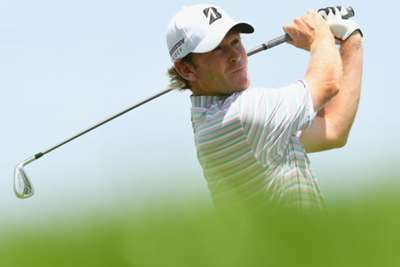 American Snedeker enjoyed a round for the ages after carding an 11-under-par 59 at Sedgefield Country Club on Thursday. Snedeker became just the ninth player in PGA Tour history to shoot a sub-60 round, and he did it by firing an eight-under 27 on the back nine. After starting his day with a bogey, Snedeker played his last 17 holes in 12-under par in Greensboro, North Carolina. Snedeker's round broke the tournament and course record of 60, which was most recently shot by Kim-Si woo when he won at Sedgefield Country Club two years ago. Fellow Americans Ryan Moore and John Oda finished the day tied for second after opening rounds of seven-under 63. Moore joined Snedeker on 59-watch late in the afternoon with six birdies in his first 10 holes, but stalled coming in to finish four shots off the mark. Ollie Schniederjans led a group tied for fourth at six under, while Ryder Cup captain Aaron Baddeley – in danger of losing his Tour card as he sits 137th in the FedEx Cup standings – was a shot further back. Ryder Cup hopeful Sergio Garcia and reigning Players Championship winner Webb Simpson both shot 66s. Garcia is trying to secure a European Ryder Cup spot, while Simpson has already qualified for the United States team. Defending champion Henrik Stenson posted a two-under-par 68, joined by Rafa Cabrera Bello and Joaquin Niemann.